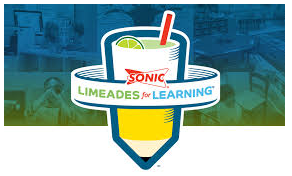 Sonic’s Limeades for Learning contest has begun! I have entered a project called Bouncy Bands for Bouncy Minds to try to obtain Bouncy Bands for the desks in my classroom! You may vote once per day from each email address that you have. I’m also collecting the code stickers that you get when you order something at any Sonic location. (Don’t be afraid to ask for extra! 🙂 ) Each code counts as 2 votes! You may enter the codes yourself, or you may send them my way and I’ll do all the work! Save those stickers and spread the word!! Click on the picture above to view and vote for my project!